Here’s a fun piece of trivia…Brookfield’s New Bethesda Metro Center will be the largest privately-owned public space in all of Bethesda! And it will be open to everyone. No other similar Bethesda public space comes close. 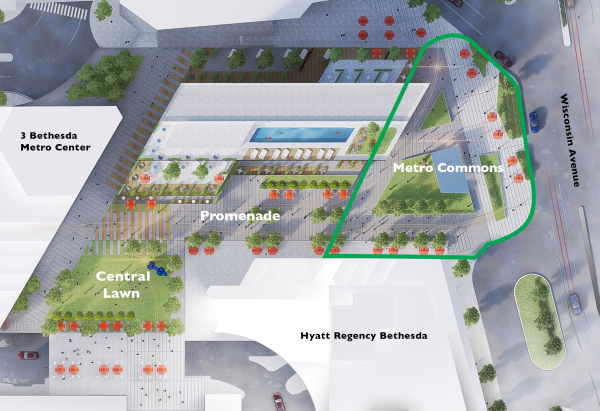 Featuring an expansive street-facing Metro Commons, a spacious retail promenade and a large Central Lawn, the New Bethesda Metro Center will have something for everyone. Please take a moment to answer our community questions and share your thoughts. The annual holiday tradition continues at Brookfield Place’s Winter Garden in New York. Presented by Arts Brookfield, in collaboration with The LAB at Rockwell Group, ‘Luminaries’ features a canopy of colorful lights radiating from hundreds of suspended lanterns. This interactive light installation allows visitors to send touch-activated wishes to the canopy of lanterns above, making them change color and intensity. Public art displays like this are part of our plans to enliven and energize Bethesda Metro Center and showcase the creativity and vision of local, national and international artists. We are looking forward to working with Arts Brookfield to create a tradition of our own at Bethesda Metro Center. From all of us at Brookfield Bethesda, we wish you a festive holiday season and a very happy new year! 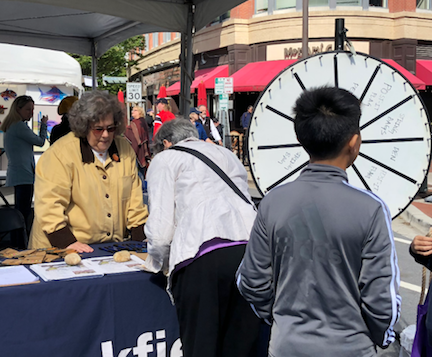 On October 13-14, Brookfield was proud to sponsor and take part in the 2018 Bethesda Row Arts Festival. We enjoyed sharing our collective vision with festival attendees and were thrilled to hear that so many local residents are excited to see these plans come to fruition. Through Arts Brookfield, we’ll be able to program the new Bethesda Metro Center with concerts, film screenings and art exhibitions - all serving as a beacon to attract visitors and energize the open space. Internationally renowned Arts Brookfield presents exciting, world-class cultural experiences to hundreds of thousands of people each year at Brookfield properties throughout the world. In order to maximize the quality of our plans, we would love to hear from you regarding what specific amenities and activities you’d like to see at the redeveloped Bethesda Metro Center. If you haven’t already done so, please take a moment to answer our community questions and share your thoughts. Thank you for your continued interest in the project. As always, please feel free to reach out to us at community@bethesdabrookfield.com with any questions or comments. Stop by our table at the Bethesda Row Arts Festival this weekend! 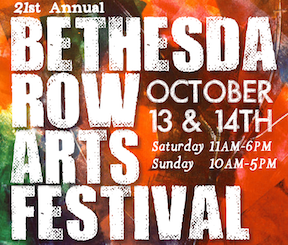 Stop by our table at the Bethesda Row Arts Festival event this Saturday & Sunday, October 13 & 14. We'll be at the corner of Woodmont Ave and Bethesda Ave from 11 am-6 pm on Saturday and 10 am-5 pm on Sunday. Find out more about the new Bethesda Metro Center plans, ask questions, share your thoughts and enter for a chance to win an original painting by Juan Pineda. New Questions. Continue to share your thoughts! Thank you for all your continued feedback. As we move forward to the next stages, we are excited to hear your thoughts. We just released a new round of questions, please take a moment to answer our new community questions and share your thoughts. We are pleased to let you know that the Montgomery County Planning Board yesterday unanimously approved our sketch plan to revitalize Bethesda Metro Center. Our plans include improving the bus bays, providing new retail amenities and creating well-connected open space for residents and visitors to enjoy. You can read about yesterday’s vote in this Bethesda Beat article. We are grateful for the overwhelming support that we received from community members during this phase of the process. We look forward to continuing our work with the community and will keep you updated as we move forward. As always, please feel free to email us at community@bethesdabrookfield.com if you have any comments or questions. The Bethesda Metro Center bus bay is a dark, cave-like space that could be so much more. Our plans will transform the bus bay into a welcoming and attractive amenity for transit users. If you haven't already, please consider sending an email in support of our plans. The Planning Board staff has recommended approval of our plans for Bethesda Metro Center. You can see their full report here. Bus bay renovation is a major component of the project. The improved bus bay will have a new covered Metro entrance & staircases, enhanced lighting, more bike storage, way-finding, pedestrian enhancements, art and retail. The bus bays are in desperate need of revitalization and your support is key to making this happen. Feel free to reach out to us at community@bethesdabrookfield.com with any questions or comments. In advance of our upcoming hearing this Thursday, we wanted to let you know that the Planning Board staff recommended approval of our collective vision for Bethesda Metro Center. The report will be discussed by the Planning Board on Thursday morning. You can see their full report here. “The Metro Plaza is currently an underutilized series of terraced and isolated spaces that prevent full pedestrian access and use." As always, please feel free to reach out to us at community@bethesdabrookfield.com with any questions or comments. You can also sign up to speak on July 19 in support of our plans by clicking on this link. Clark Enterprises published a list of what they believe residents want at Bethesda Metro Center. 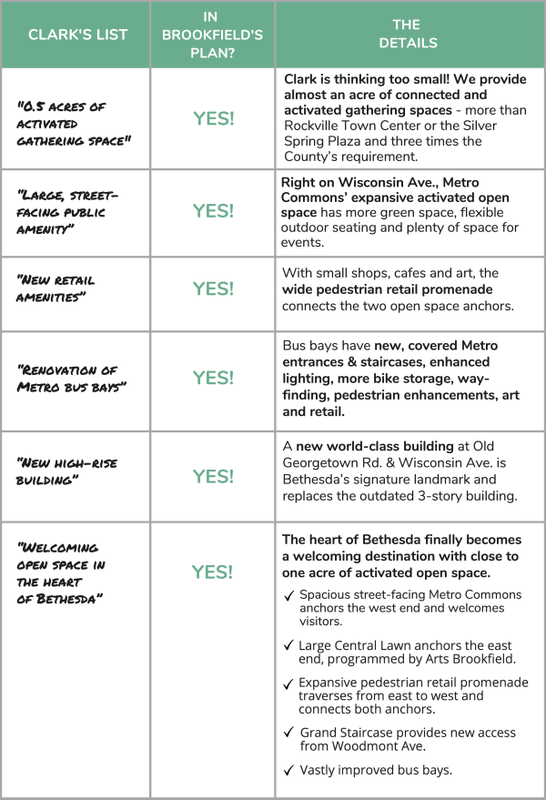 Brookfield’s New Bethesda Metro Center does all that and more. Testify July 19 at the Planning Board to support Brookfield’s plans for maximum and engaging open space at Bethesda Metro Center. Testify at the Planning Board on July 19 (Item 4 on the agenda) and tell them you support maximum open space at Bethesda Metro Center. You spoke, we listened! Introducing Metro Commons – A large open community amenity right on Wisconsin Avenue. 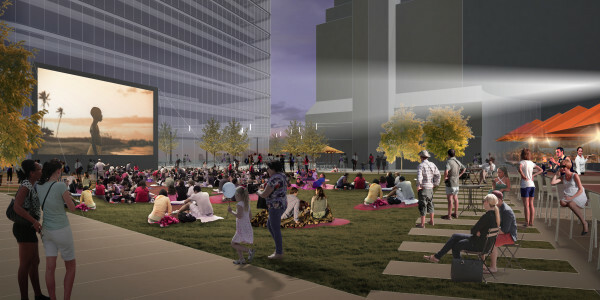 Bigger than the popular Veterans Plaza on Woodmont Avenue, Metro Commons features even more green space, spacious gathering areas to sit and relax and plenty of room for community events such as farmers’ markets. The new Bethesda Metro Center will have something for everyone. 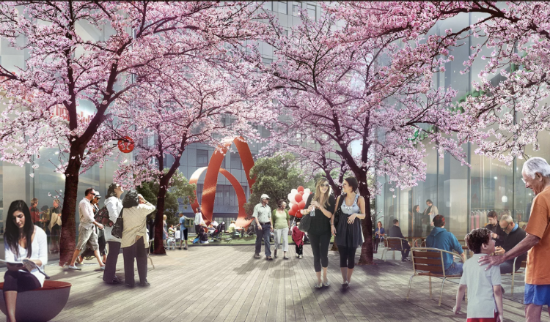 More open space, retail promenades, better bus bays and the arts. Keep the feedback coming... increase your impact! Thanks for your feedback so far on the new Bethesda Metro Center plan! We're hard at work incorporating your ideas into the future open space, retail, and programming. We'd like to ask for your support to make the new Bethesda Metro Center happen. If you haven't already, please sign and submit a Letter of Support to the Montgomery County Planning Board. >> Sign and submit a letter of support here! It only takes a few seconds, and it's the most impactful thing you can do to make the new Bethesda Metro Center plan a reality! Stop by our table at the 'Best of Bethesda' event tomorrow night! We'll be at the Hyatt Regency from 6 to 9 p.m. Find out more about the new Bethesda Metro Center plans, ask questions, and share your thoughts. Brookfield just launched an exciting new way to get your feedback on the new Bethesda Metro Center! 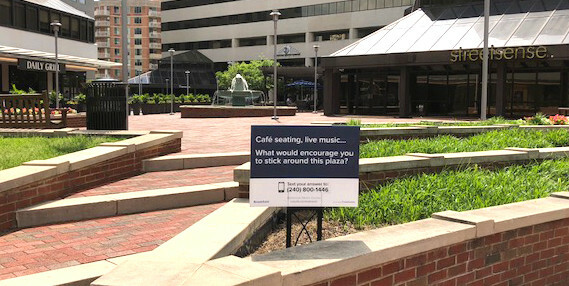 Look for signs like these posted around the plaza, asking questions about your preferences for the future open space and retail. Text in your answer to post a response to this site. If you haven't already, please answer our community questions or send a letter of support to the Montgomery County Planning Board. Thanks again for your feedback! Thanks to the Bethesda Downtown Design Advisory Panel for meeting with us yesterday about our plans to re-energize Bethesda Metro Center. Members of the Panel provided us with great comments on our vision for improved connectivity and open space. Of special interest was a comment that our plans are similar to those of many European towns, where small pedestrian streets lead to a town square. Our next meeting with the DAP is scheduled for June 27. We will be meeting with the recently constituted "Bethesda Downtown Design Advisory Panel" this Wednesday (4/25) at 10:30 A.M. to get their feedback on our project plans. The meeting will be held at the Maryland-National Capital Park and Planning Building - 8787 Georgia Avenue - 3rd Floor. Welcome to the Bethesda Metro Center outreach site! Thanks for visiting! We're using this interactive site to help you follow and participate in the redevelopment process for Bethesda Metro Center. Click the Follow button to receive news via email, and visit the Comments tab to share ideas and questions with us. We'll respond as soon as we can.